The Millennium Falcon and Mini-Falcon. Mobile Amateur Radio KD5OM/M. Radio and Electronics has always been a Passion of Mine. Since I was just a punk kid, I’ve been collecting parts from discarded televisions and radios. Much to my mom’s dismay. I think she was glad when I took up Photography. I built my first Crystal Radio Kit when I was 9 years old. I converted an AM Broadcast Band Radio to a Shortwave Receiver a few years later. I passed my Third Class Radio Telephone License along with a Broadcast Endorsement when I was sixteen. Then in 1975 (age 22) I passed my Novice Class Amateur Radio Test. 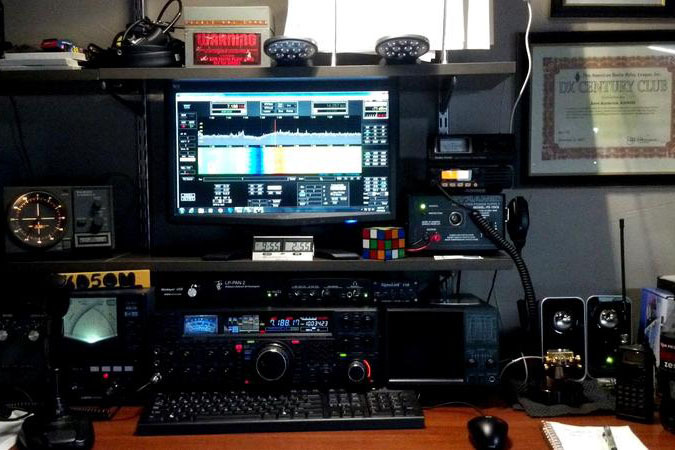 I’ve now been an Extra Class Ham since 1987 (passed the 20 wpm Morse Code Test), I have a few ARRL Awards including the DXCC. I mostly enjoy building QRP Transceivers and Camping while operating portable.